Congratulations! You have reached another important milestone: the first level of Executive Leadership. Now, in addition to other benefits, you will receive a Business Incentive Bonus (an extra 10% on your check) and a Holiday Bonus. 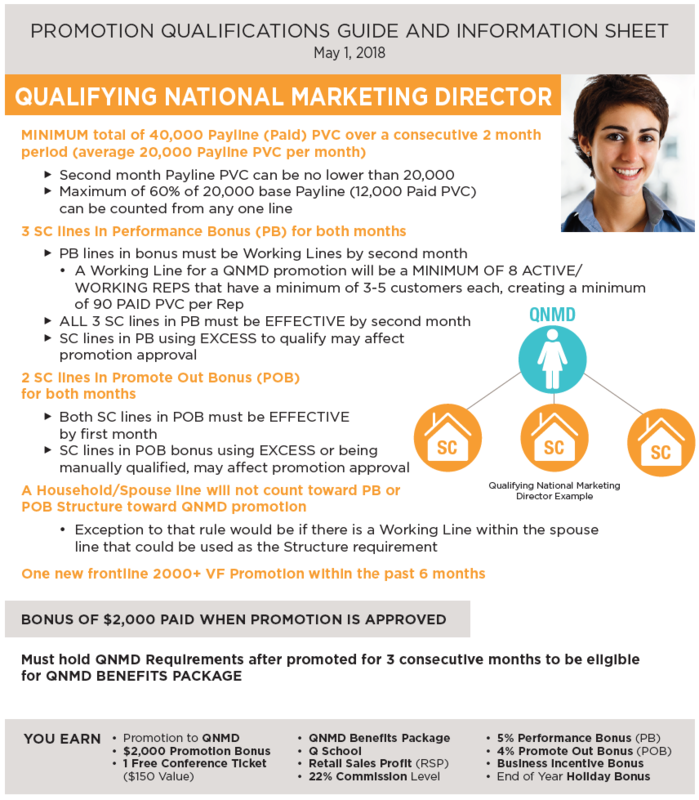 Your next major Goal is, of course, Qualifying National Marketing Director (QNMD). QNMD Benefits to look forward to. To reach QNMD you will need roughly 800 total team customers, 80 total team members, 20,000 monthly volume (points) and 10-12 qualifiers on your team. 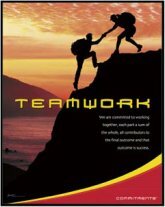 As you know, you will get to QNMD by helping your team achieve their goals. As you reach for the 12 Club – three of your Team are in the 3 Club and 10-12 of your Team are qualifying their businesses – you will reach QNMD! You’ve made great progress building a team, and you are inspired by the truth that Together Everyone Achieves More. This is a core strength and value of our entire Business Model – the Virtual Franchise. Now your focus shifts to becoming a stronger Leader and developing Leaders on your team, helping them reach Senior Sales Coordinator, just like you. Develop a “Next Step Planning” mind set. Start your month with your Invitation List and teach your team to do the same. Use the 20-10-5-1 Success Formula with Intention and Invitation. This will be your source of ‘new blood’ for your team; those who helped you get to SSC may not be the ones who help you reach QNMD, and you cannot get there alone. Teach your Team to teach the Mission Driven Model. This is absolutely key to developing enthusiastic customers who will take Juice Plus+ long term, who will spread the good news (giving you referrals), and some of whom will join your team as Juice Plus+ Reps.
Support your growing team with Wellness Presentations. Connection Calls will become increasingly important in your DMO with your Team members. It’s time to TEACH pvc and how it fuels your paycheck. Use this training with your Sales Coordinators; have a printed copy of this worksheet to hand.